I hate cable knit sweaters. I can’t really deal with how preppy they look, how plain and boring it feels to see the same. twisty. pattern. repeated over and over. If they are your jam, I apologize now. 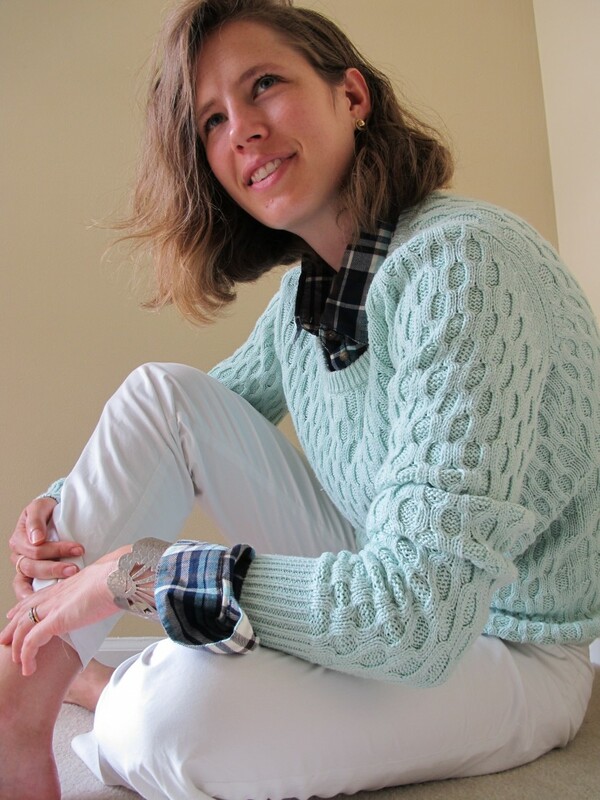 The closest thing I’ve ever owned to a cable knit sweater was this mint deal from a few winters back…and it was a flop. But how catalogue-worthy is this shot?! Haha. And suddenly my attention was captured. What made this different from the samey-same feeling of traditional cable knit sweaters and cardigans? First of all, the cable knit was BIG and BOLD which considerably reduced the twee factor. Second, there was other texture going on – a sort of chic waffle that is one of my favorites – and it made the cable knit a feature, not the whole story. Then that split hem (another favorite) updated it out of the traditional prep aesthetic. And the flecked knit job (yet another fave) brought even more texture and visual appeal. 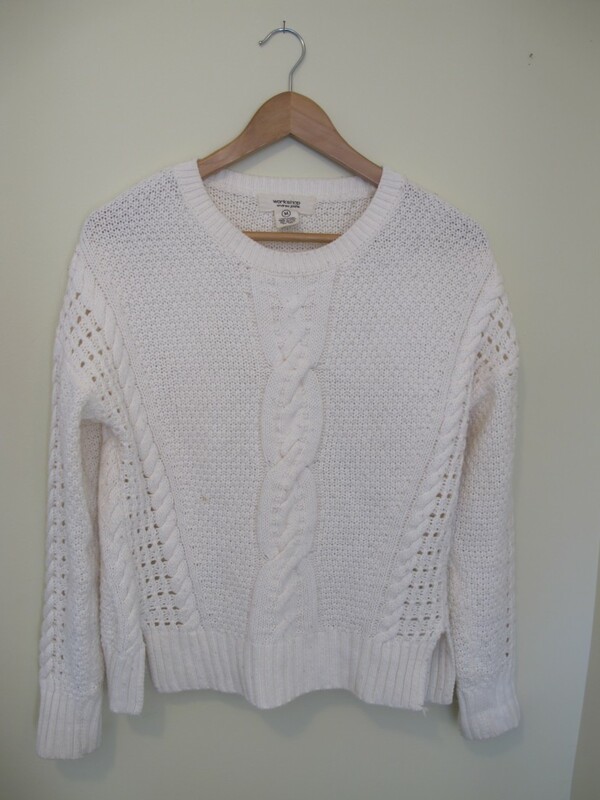 Refinery, the Instagram account that featured the sweater, is a consignment shop in Oregon City, Oregon. I have no idea whether they ship, but I was so taken by it that I inquired whether it was still for purchase (nope). I then spent a bunch of time searching on ThredUp, Poshmark, etc. for the sweater, which is by Urban Day. No luck. Don’t worry, I don’t actually store my sweaters on hangers – that stretches them out! Giant cable knit? Check. Other texture of a waffle-y variety? Check. Split hem? Check. Flecked yarn? Nope, but you can’t have everything. 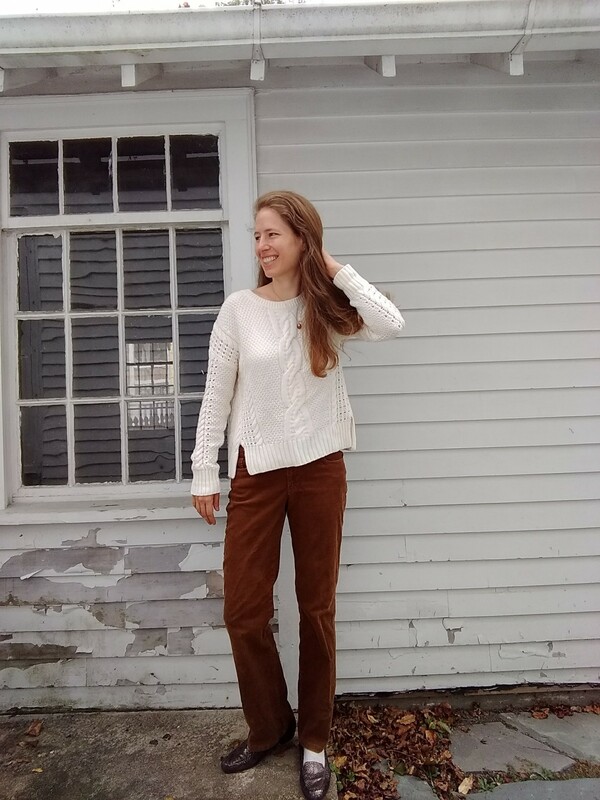 This sweater has quickly become a favorite – I feel like its relaxed chic vibe, particularly its loose semi-cropped silhouette, instantly catapulted me into realms of style blogger cool I rarely reach. And it is so soft. Something you can’t see in the pictures? It’s got some not-so-nice pilling happening. More than I can reasonably tackle in one sitting. This means the yarn is made of short fibers, which are cheaper (and poorer quality). So as much as I love this sweater for what it is, I’ll be keeping an eye out for a higher quality upgrade. What are your feelings on cable knit? And what’s an item or style of clothing you had to find juuuust the right version of before it even remotely appealed? I laughed out loud because I like the green cable knit sweater. 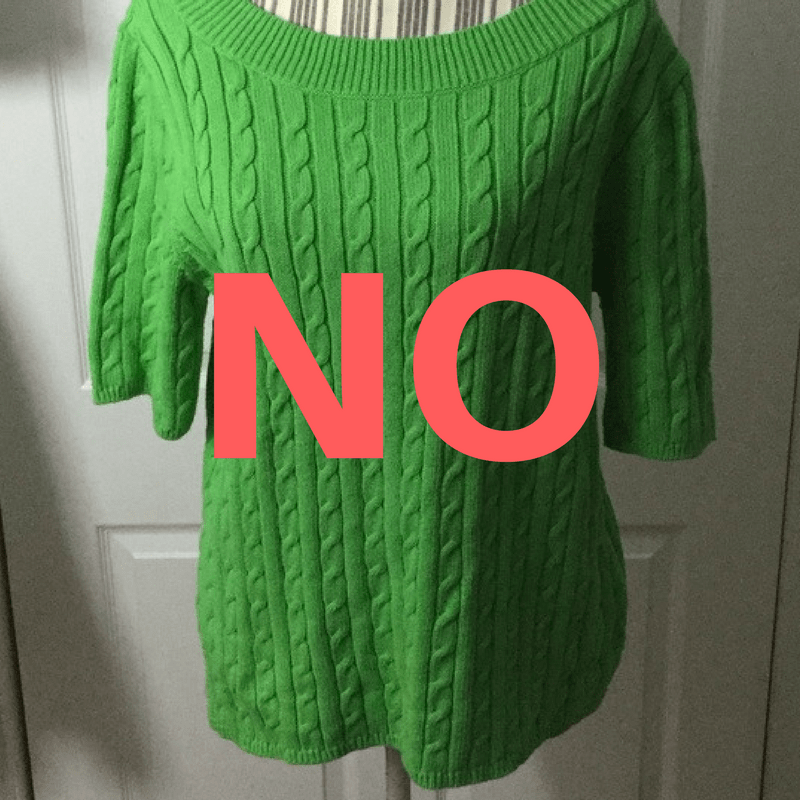 It hit my check boxes: fun, bright color, not too fitted, batteau neckline, small cables, small yarn. The last two (small and small) are not a specific aesthetic I like; they’re only because I’m a shorter, smaller boned woman, so the big patterns and chunky knits look overwhelming on me. I’ve been known to try on 30 pairs of jeans before finding JUST the right pair! But I figure it’s worth it because a pair of jeans is one of those things you keep and wear for years. 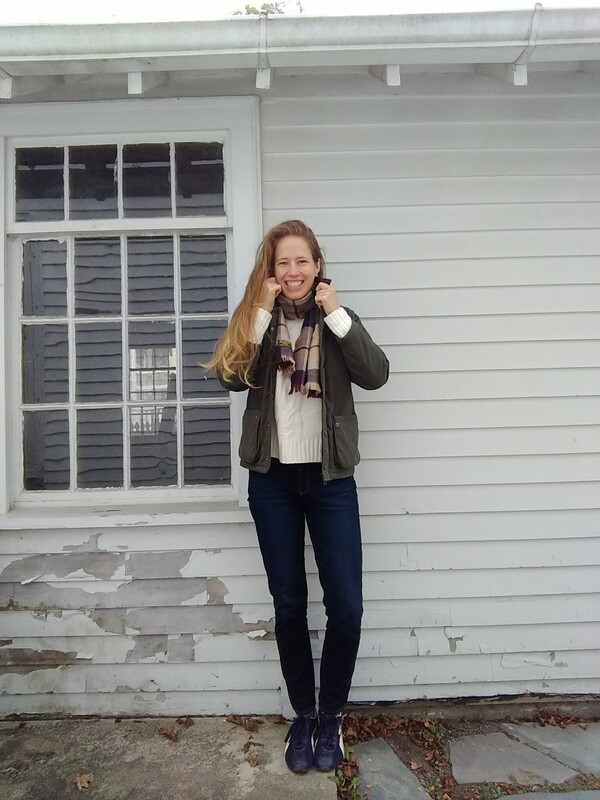 I hear you on jeans – a just-right pair is so versatile and worth the effort!